PHOENIX—In what is being touted as its largest deal in its 70-year history, Best Western Hotels & Resorts has inked an agreement for one of the most iconic properties in the United States to become a member of its BW Premier Collection. Las Vegas landmark the Stratosphere Casino, Hotel and Tower and a sister property, Aquarius Casino Resort in nearby Laughlin, NV—both owned by American Casino and Entertainment Properties (ACEP)—will bring more than 4,300 rooms and suites to the association’s two-year-old soft brand, along with signature amenities and gaming venues. 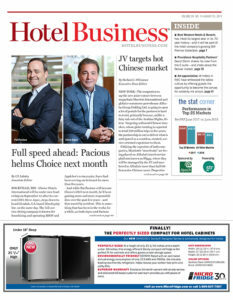 According to Ron Pohl, SVP/COO of Best Western Hotels & Resorts, the hotels are perfect additions to the curated portfolio, noting the move was at once strategic as well as opportunistic. ACEP, led by CEO Frank Riolo, three years ago began exploratory conversations with potential partners regarding the independent properties. “At that time, BW did not have a soft-brand program. When a soft brand was presented as a viable option about a year ago, the conversation turned into a negotiation,” Hobson said. He added that Brian Christensen, ACEP’s VP of revenue management, was key in wrangling the deal. “His advocacy helped everybody understand the value of what a Best Western distribution agreement could mean to our business and hotel mix,” Hobson said. ACEP has two other Las Vegas properties: Arizona Charlie’s Hotel & Casino-Decatur and Arizona Charlie’s Hotel & Casino-Boulder. The Stratosphere, which is the tallest structure in Nevada, offers 2,427 rooms in a separate 24-story building, along with a 24-hour, 80,000-sq.-ft. casino with race and sportsbook; numerous restaurants, entertainment outlets and rooftop pools. Its famous 1,149-ft. Tower features the Top of the World restaurant with panoramic views, as well as shops and thrill rides, including SkyJump, where visitors can leap 855 ft. in a controlled descent. According to Hobson, Stratosphere is positioned in the value segment of Las Vegas while Aquarius sits atop the Laughlin market. Aquarius Casino Resort features 1,906 rooms and suites and a 57,000-sq.-ft. casino with 1,250 slot machines, table games, a race and sportsbook and several dining outlets. 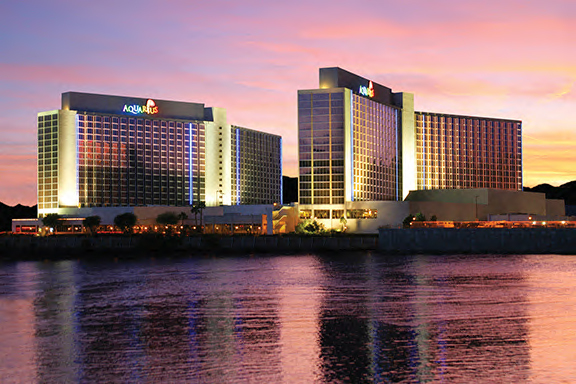 The Aquarius Casino Resort in Laughlin, NV, also has become a BW Premier Collection member. The guest mix at each of the properties differs somewhat, he noted. 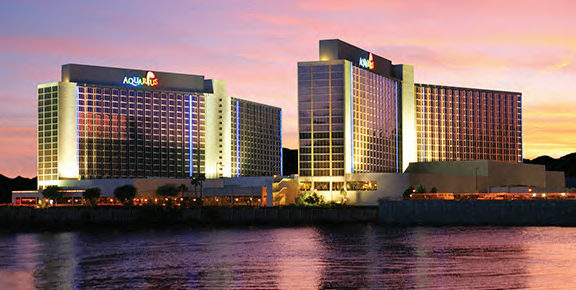 “Aquarius is casino-centric with strong FIT demand in the summertime due to Laughlin’s location on the Colorado River. Stratosphere’s business has the casino component but skews more FIT because of the property’s appealing tourist attractions and Las Vegas’ celebrated citywide events,” said Hobson. There are synergies between the two properties. “The operations are mostly distinct at each property, but we share administrative services like accounting, purchasing, call center and advertising,” he added. Pohl noted of the more than 2,000 member hotels in North America, only a small portion (less than 1%) have casinos; the two new additions bring the number to eight casino properties in the U.S. Overall, Best Western currently has 18 hotels in Nevada, with 11 in the Las Vegas area, including the Las Vegas Strip, as well as hotels in Reno and Carson City. 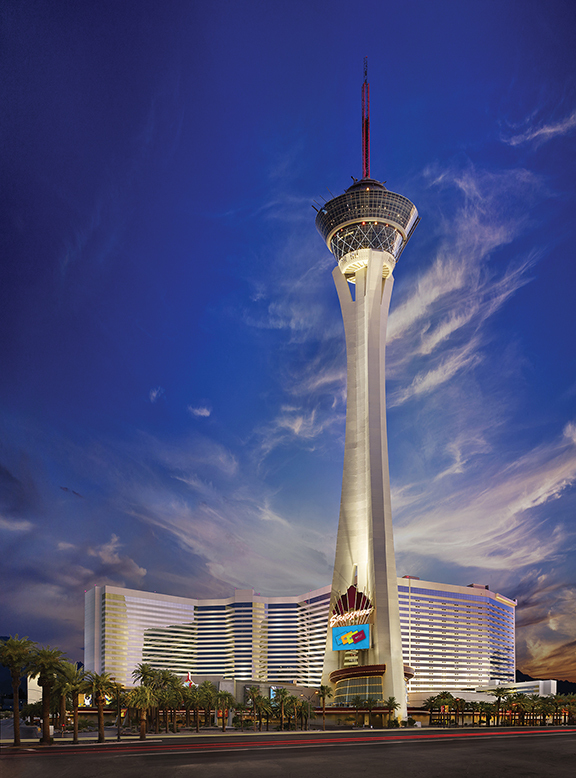 Stratosphere’s ace | PLAY program allows guests to accrue awards, comps and exclusives based on loyalty to ACEP’s four properties and the new partnership will allow Stratosphere and Aquarius guests to take advantage of the Best Western Rewards loyalty program. “With BWR, guests looking to visit these iconic hotels now have access to special rates—up to 10% off on every night—and they will be able to earn and redeem free-night-stays that count toward attaining elite tiers,” said Pohl. Guests also have the opportunity to earn gift cards from shopping, entertainment, gas and airline partners. In assessing the impact of the deal as a benchmark for the organization, Pohl noted the BW Premier Collection was created with properties in high-profile, urban destinations and resort locations in mind. BW Premier Collection currently has 72 properties globally, with another 29 in the pipeline. 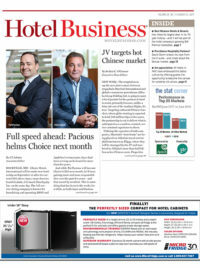 “The partnership with ACEP and the iconic presence of the Stratosphere and Aquarius sends a clear message to our loyal Best Western customers that we will continue expanding our global footprint and provide unique, high-quality hotel products for them to enjoy,” said Pohl, indicating it also raises greater awareness among owners and developers around Best Western brands.